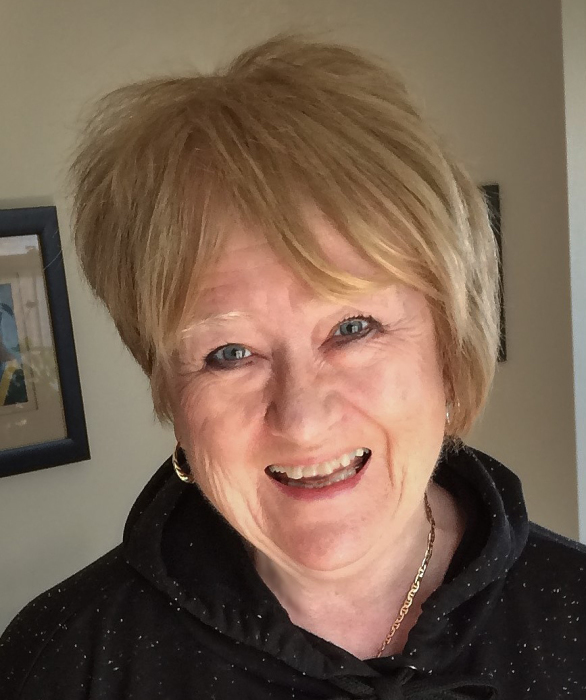 Obituary for Diane MacMillan | W. J. Dooley Funeral Service Ltd.
Diane died peacefully surrounded by the love of her family on November 21, 2018 at the Northside General Hospital. Born in North Sydney on October 19th, 1946, Diane worked as a secretary at Martell’s Construction for 10 years in the 1970s, then spent many years at home with her children. She later worked for Canada Post for 20 years, 11 of which were spent delivering mail (she knew every street in the CBRM!). In 1974 she married the love of her life, Charlie MacMillan. She enjoyed painting, gardening and crafting, was an expert shopper and gift-giver, and was always the most stylish one in the room (many will remember her signature mini skirt and purple flower car in the 60s). In more recent years, Diane cherished precious time with her grandchildren who lovingly referred to her as YaYa. She also enjoyed traveling and exploring (especially in Ireland), walking her Scottie dog, Bonnie, and of course afternoons on the ‘Hi-Lady’ surrounded by family, friends and laughter. A kind and selfless caregiver, she will be remembered for her generous heart and, most of all, for her laugh and fun-loving, free spirit. Diane was predeceased by her beloved husband Charlie MacMillan nearly 10 years ago and parents Hughie and Girlie (Purves) MacNeil. She is survived by her daughter Lindsay (Jeremy) and their children Greg-Charlie and Joni and son Michael (Holly), and their children, MC, and Max. She is also survived by sisters Joan Edwards (MacNeil) and Barb Viva (MacNeil), and many nieces, nephews and extended family and friends. Deepest gratitude is extended to the staff at Northside General Hospital, Palliative Care, and especially Dr. Peter Poulos. Visitation will be held at W.J. Dooley Funeral Home, 107 Pleasant Street, North Sydney, on Friday Nov. 23rd from 2:00 – 4:00 and 7:00 – 9:00. Funeral will take place at St. Joseph Catholic Church in North Sydney on Saturday Nov. 24th at 10 am, with Rev. Doug MacDonald presiding. In lieu of flowers, memorial donations can be made to the SPCA and Palliative Care at the Northside General Hospital Foundation. Diane will be remembered for her big heart and her love for her family who were the center of her life. May her legacy be the way she lived life to the fullest, on her own terms.